The Best Western Pemberton Hotel is ideally located in the center of Pemberton. Come and experience our hotel near the major tourist attractions. Best price guaranteed and exclusive deals. Stay at this charming Pemberton hotel, located within walking distance of the town centre, tramway and steam train, and close to Gloucester National Park and Pemberton Forest Park. The Best Western Pemberton Hotel offers 3. 5-star accommodation in Pemberton. 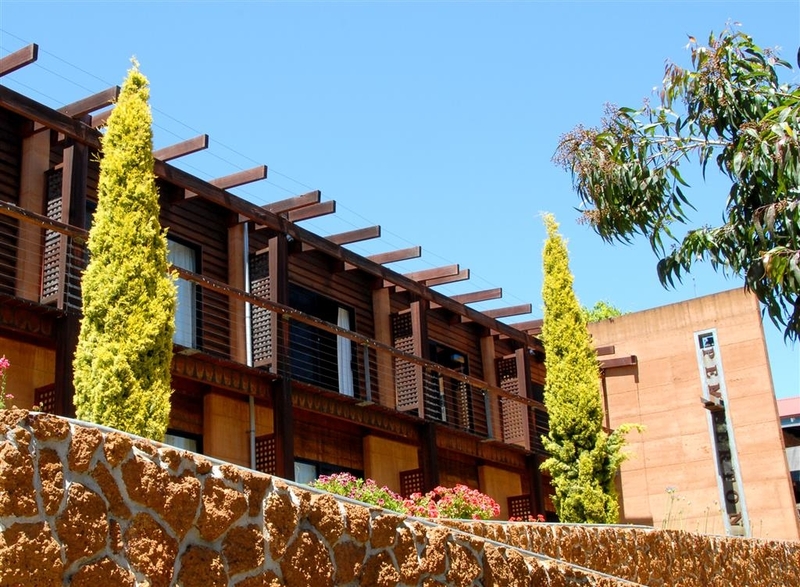 All rooms are well-appointed and feature balconies overlooking karri and jarrah trees. This Pemberton hotel blends modern conveniences with original 'turn of the century' charm. Enjoy a cozy wood fire in Charlie's dining room, the wood paneled lounge bar and alfresco dining in Cafe Mazz. Guests staying at the Best Western Pemberton Hotel will be close to a variety of local attractions and activities, including some of the best trout fishing in the country. Local tours of the region can be arranged through the hotel with pickup from our doorstep. For friendly customer service and a central location in Pemberton, make a reservation at the Best Western Pemberton Hotel today! Please note: The Best Western Pemberton Hotel is a non-smoking hotel. Enjoy your stay. "A great night in the Great Southern"
We had a great nights stay at the Pemberton Hotel. The room was clean and comfortable, there was ample parking at the rear, great food and plenty of atmosphere in the bar. Look forward to seeing you again. Only stayed overnight but really enjoyed the experience. Really comfortable bed, room was very quiet, we were out at night so didn't get to sample the restaurant, but food looked good. It was a very busy weekend in Pemberton with a cycle race on, so hotel was full, but everything seemed to be running smoothly. "Neat Tidy with good eating options"
I visited this hotel for the Pemberton Cycling Classic. The room my friend and I had was neat and tidy with every you need except a microwave and a toaster. The hotel is open for Breakfast, Lunch and Dinner with good options. The rooms were quiet with no disturbances. As I was racing I did not get back to check out until an hour after official check out time. The hotel was quite relaxed about this and did not charge any extra. Would happily stay here again. Have always enjoyed the Pemberton Hotel when here on business trips but this time brought my wife with me on a bit of a road trip through the southern forests. Service was as good as ever with very friendly and helpful staff and the rooms were a nice size. Food in their restaurant was delicious, both dinner and breakfast the next day. Food was cooked as requested and was full of flavour. After a long drive we were quite disappointed by the staff welcome. Hello, keys and that's all. We have been asking information about local activities and the only reply was to tell us to look at the nearby brochures. Rooms set up was not so practical and certainly not charming. Food in the restaurant was average. Not sure there is a better choice around anyway. We also booked the Pemberton tram tour but for the price it is really not worth the money. "Comfortable Motel in Pemberton "
During our WA holiday we stayed 1 night at the Best Western which is part of the Pemberton Hotel. Room is basic but comfortable and clean. No complaints. It's not fancy but we found it very sufficient for our stay. We wanted to visit the area to see the tall trees and the forest. We enjoyed a few cold beers on the veranda of the hotel and enjoyed our meal in the restaurant. In the morning we had a bacon and egg muffin and tea which was reasonably priced. "Nice place to stop in overnight"
Had Dinner here with my family 2 Adults, two kids, $77.00 ! Overpriced heated soup, microwaved vedgie patties from the supermarket. Avoid this place to dine. But if you looking a having a cold beer, should be fine Cannot comment on Accomodation option, we stay at Pemberton Forrest lodge Resort, this was Excellent!!! "Always like staying in Pemberton"
We have stayed at Best Western Pemberton on many occasions and have always enjoyed its friendly and relaxed atmosphere. On this stay it seems that they have sorted out the WiFi in the rooms too, which was really good. Experiencing the wonderful south west of Western Australia whist working, has been a global wine and food highlight. The most memorable moment was spending a night at the Pemberton hotel - honest, clean and centrally located in the town. Highly recommend. For Pemberton, this is one of the better hotels. Ambience is great at night for a social gethering at its restaurant and bar. Rooms are clean, only issue my family commented was the wifi. Most rooms can fit 3 persons wt beds provided. Pemberton is a small town but there is plenty to do and see in the surrounding area. Don't miss the Pemberton Beach and Forest Eco Tour or the Donnelly River Cruise if you are in the area. We chose this hotel because it appeared to be the only one that was actually in the town. The room was quite dark and gloomy but had everything you would expect or need from a hotel/motel, it was a good size with a comfortable bed, very clean and the wi-fi was better than in some places. The bathroom was dated but the shower was pretty good however the bathroom fan sounded as if it was about to launch into hyper-space. As it came on with the light there was no way of using the bathroom in the night without waking anyone else in the room so keep a torch handy if you're staying here. The hotel has a huge dining room but despite this was crowded every night of our stay (again it appeared to be the only place in town to get an evening meal). We had a long wait for a meal on our first night but when it came the food was tasty if not particularly exciting, mind you one meal between us would have been plenty. The staff were efficient and pleasant, they seemed to work long hours. I would probably stay here again if I made a return visit to Pemberton. Stayed 3 nights in family room with friends - comfortable, clean and convenient with staff friendly and close to tourist attractions. Enjoyed 2 evening meals and one breakfast serving typical "pub" food. We recently had a two night stay. The room was clean and comfortable however, the bathroom was definitely in need of a refurbishment, it had the noisiest exhaust fan ever and overall it was just very tired and basic. The meals in the hotel were lovely, with very generous serves. The staff were fantastic, friendly and helpful. Overall, it was a good experience. We requested a very late checkout and this was accommodated without fuss, for which we were very grateful. We would certainly stay there again. Worst meal ever . Had fresh grilled trout as trout farm close by - totally tasteless . Partner had chicken parmigiana- usually a safe bet - disgusting ! Thick gelatinous coating and inside could not be described as chicken . Should have opted for Tapas at Tree House Tapas and Wine Bar as recommended. Will know better next time ! We stayed here for one night and got the last room when we booked in the morning. From the outside the rooms looked like they'd been built in the 70s, and from the inside this was still the case. Everything was clean and whilst the TV and most of the furniture was on the cheaper side, we had a good night's sleep in comfortable beds. Another plus was it was attached to a pub which served some good meals. (The spaghetti bolognaise was excellent). The hotel location is good if you are intending to ride on the Pemberton Tram. The station is just a short 5 minutes walk away. Do not expect much from this hotel, really simple and basic. I stayed on the second floor away from the main building, but at night it got super noisy when the other guests came back at 3am! I could hear their footsteps and conversations, it was as if I could open my door and join in with them. The air conditioner/heater was really noisy too, producing all sorts of sounds throughout the night. I did not sleep well. The hotel restaurant do serve good breakfast and dinner though. I will recommend to have your meals here but not for staying. We didn't book in Pemberton didn't think we would need to, wrong. There are several choices on offer, but few vacancies. Chose the Best Western as it was in town, with food choices, short walk from the tramway. "Nothing to whinge about at all"
We booked this hotel on the internet where it had good reviews. My wife feared that there would be noise from the drinking part of the hotel, but there was nothing of the sort. The walls of the motel wing are of architectural rammed earth and are practically sound-proof.I give the place an overall 10 out of 10 for what we wanted for a quick trip to see the Gloucester Tree, the Karri forest and some kangaroos. The hotel is situated on the main road not that there is a lot to see in Pemberton. The room was quite large and very clean. We ate in the dining room and the meal was terrible. It was very crowded for a Wednesday night. This was booked for us as part of a package tour, would not recommend it. The Pemberton hotel is a combination of old and new. The original hotel was built in the 1920's using material from an hotel in Greenbushes. The newish accommodation wing is a two story pressed earth structure. Its room sizes are adequate and rooms clean, but despite the air-conditioning are cold. Meals are good and prices reasonable. We ate dinner at the hotel. Absolutely buzzing for a sunday night. Basic pub food but good. Good selection on the menu with local marron delicacy. Portions are huge! Great place to eat & meet the locals. Got this on Booking.com for a budget price for two when strong rain threatened our camp out - it's a very decent hotel with great rooms at the top of the town. The building design is interesting an works. I'll gladly come back here in better weather to explore the towns mountain bike network. Went for dinner on a Tuesday night and was surprised how busy it was with families and couples enjoying a nice meal. We enjoyed the delicious food (yum dessert) and pleasant service. Perfect for a country pub! "Great lunch on a sunny day"
We stayed in a Family Room (two adults and two children) rooms were clean and beds comfortable. The restaurant at the hotel is very good old school pub food and breakfast in the morning was wonderful. Staff very helpful. We stayed overnight on the way to Albany. "A Place for a meal in Pemberton"
At least the Best Western in Pemberton has good pub meals at a good price. when staying in pemberton there is very little choice after daylight hours for a meal but this place is open and the meals are good as are the staff. Dont miss it. Great hotel with pleasant staff and great food. Could do with having an option of smaller meal sizes, but staff are always happy to accommodate any requests. Rooms are a little dated, but are clean and comfortable. Spent three nights at the Pemberton Hotel recently and we loved it. No airs and graces required here - it's good, straight forward Aussie hospitality. The room was spacious, clean and comfortable. Food was uncomplicated, well cooked and great value. But best of all the service was really friendly and efficient. Loved it! "Perfect for a weekend wedding"
Was in Pemberton for a wedding and this hotel was just ideal for our weekend get away. The rooms are quite spacious and all the staff we come across including housekeeping were very friendly and helpful, definitely enjoyed our 2 night stay here. Thank You for taking the time to complete our survey we value all feedback from our guests and hope to see you again one day. While I don't think this hotel was great value in the grand scheme of things, it was good value for Pemberton where prices seemed to generally be a bit on the high side. I had enquired about a room at the Gloucester Motel prior to this and that was full of working holiday visa types with no vacancies left - a bit of a weird vibe and I reckon the Department of Immigration would find some interesting people staying there, and in the area in general! Anyway, back to the Best Western - I paid $124 for a King Bed and Single Bed room as a walk-up client, which was cheaper than any of the online offers I could find. Check in was efficient, but I was disappointed to hear the receptionist telling me they had no affiliation with the Qantas Frequent Flyer program, despite the Qantas website saying Best Western Hotels are affiliated, and there being a sticker on their entrance door telling me I could earn QFF points there! Luckily this was corrected by the (different) receptionist upon check-out, though I'm still waiting for my points to appear in my account. On that topic, check out was a bit of a hassle because their EFT machine kept returning errors and despite it being obvious to me how the problems could be worked around (simply by following the on-screen instructions on the EFT terminal), the receptionist employed a more haphazard approach to troubleshooting, but I find most people seem to do this instead of just paying attention to what is actually happening. Anyway my room was comfortable and a good size. It had obviously been renovated, albeit a few years ago, and it was apparent that the room used to have a bathtub but this had been pulled out. For the money I would have expected proper soap and separate shampoo in bottles but the bathroom only had an automated liquid soap dispenser above the sink which didn't work, as well as "combined hair shampoo and body wash" in a dispenser in the shower. The WiFi was free but very slow. Most of the rooms seem to face the main road which meant that without double glazing, I was woken early in the morning by truck and other traffic noise. I did appreciate the free parking behind this motel, and was fairly happy overall with my experience, but did expect a little better at this price point. Thank you for completing the survey regarding your recent stay at our property. On behalf of our entire team, I would like to apologize for not exceeding your expectations. Your satisfaction is important to us and we will be using the feedback you gave us to implement improvements to ensure we offer a better experience for guests in the future. I hope that you will consider staying with us again so that we can have another chance to provide you with a superior experience. If I can provide any assistance, please don't hesitate to contact me directly at 08 9776 1017. "Going going gone! Guests are not returning!!" Memo to the owner and staff .... don't push two single beds together and tell patrons it is a king bed!! Hello there is a gap in the middle where the two join which comes apart. Put in decent Queen and King beds. Why is the " soap " in the shower a mix of shampoo and soap? I don't want to wash my tush with shampoo or my hair with soap! !The bathroom basin looked like a washing trough which came from a throw out sale from Louis sava da money. I don't know why that was there as there were no cooking facilities. A basin would be nice. Also how about a scene of beautiful Pemberton on the wall? A South Pacific native is hardly appropriate. The food in the restaurant certainly wouldn't pass muster with Nigella!! My serve was a dried up piece of " barramundi " which I suspect was frozen. There was no sauce or accompaniments although the chips were ok. Cost of this was nearly $28 and add to this the charge of $ 370 for two nights accom make it a weekend best forgotten. I have passed on comments to the management but I doubt if they will ever be read. "Perfect for One night stop"
Typical looking Aussie looking building with its tin roof. Lots of wood used, which you would expect being in an ex timber mill town. Very unique looking rooms. Very high ceilings and the walls are bear brown concrete. It sounds strange but it looks very nice. You need the following things in a room. A good comfy bed A hot shower A TV Free WiFi Our room had all of this. We had a table for 6, the meal was lovely, fresh produce, fresh fish and a free salad bar that is replenished regularly. The seating area outside is clean and inviting and we sat for a couple of hours and had drinks after our meal, good value for money. Easy check in. Nice, clean and comfy rooms. Good location, only a short walk to the rest of town. The pub is a great Aussie pub with good meals. Nothing like a good Swan Draught and a parmy. Would recommend if staying in Pemberton. Didn't stay at hotel only lunch with family. Beautiful summer's day. Ate outside and the meals were delicious. Slow and steady pace, just how we liked it. Plenty of tables inside and out. Staff were friendly. Clean, comfortable and in a good location. Breakfasts are good but the pizzas are not. Cheap premium beers but pathetic showers - water pressure was very, very poor. The town of Pemberton itself is rubbish but the forrests, national parks and wineries around it are fantastic. Stayed here for one night on Boxing Day and found it to be a great hotel in Pemberton. The room was large, perfectly clean, had a huge comfy bed and large bathroom. We also had dinner in the evening and again was adequate for the one night. Quick stop over whilst attending an event. Bed was very comfortable and staff very friendly. Bathroom was a bit intersting with its mix of different time period finishes. Toilet roll holder nearly impossible to reach. Back car park is a bit small for larger vehicles and there is a height restriction as you go in so rooftop campers and larger aerials may not get through either. Either park on side street or in front if your happy to leave vehicle. Stayed nearby and called in for dinner. Didn't open til 6pm. You can order from the bar or the kitchen-same meal. It filled fairly quickly as there was a tour bus in. Caters for families & children welcome. Not huge but caters for about 100 I think. Meals were great and served fairly quickly by friendly staff considering the number of meals to be served. Big car park across the road makes it easy to get to. Can probably walk from most accommodation if the weather is kind. Partner and I were staying nearby and called in for a coldie and dinner. Service was friendly and very good. Atmosphere was great. We were surprises at how busy it was. Meals were very generous portions. I had the trout which was cooked perfectly. Great food, great service, great atmosphere. Great Job Pemberton Hotel! "We took advantage of their very cosy restaurant"
Seven adults and five children, as a family turned up on a Monday night, not expecting much from what appears as an old country pub. Well it blew my socks off! The service was excellent and performed with good humour, but the meals were amazing. The size of each serving was more than adequate and delicious. In season fresh water trout were in two separate recipes, as was the fresh water marron. A sort of lobster crustation. They offer a great selection of Western Australian Wines. We had a fine shiraz from Truffle Hill & I would have no hesitation in recommending it. "Delicious food and service "
Our group are here while on an 1800km charity run through Western Australia. The food was amazing, well priced and a good size. The service was friendly and everything you'd expect from a country town Hotel. Thank you for a delicious meal and great experience! "Great stay, spacious rooms, great internet"
Spacious brightly lit room with all amenities. Great meal in Café Mazz, on a wintry night. Friendly staff made the stay more enjoyable. Highly recommend this property for its location and surrounding services. Cosy fire place in the bar gives this an added ambience. We had a room on the second floor accessible via the stairway. Car parking was fairly tight with not a lot of room in each parking spot. The room was comfortable and included a microwave and bar fridge but no toaster. The bathroom had quite a large bench, deep basin, toilet and a shower with excellent water pressure. Our shower water leaked out on the floor abit which took most of the towels to mop up. Bed was very comfortable, towels were good quality, there was a full length mirror and the room was quiet even though we faced the main road through town. Staff were very friendly. Breakfast can be eaten in the hotel but we supplied our own. "A cosy retreat in beautiful Pemby"
Stayed here last week after walking on the Bib Track. Staff were so warm, friendly and welcoming. The room was delightful - loved the rammed earth walls. All very clean and well presented. I requested a ground floor room and they kept a clothes parcel that I sent before I left home, for my arrival into town. To top it off I enjoyed the best Scotch Fillet EVER in the pub dining room - along with a glass of a local red. This southern pub icon never fails to disappoint. Can't wait to go back! "Old fashioned value & cosiness"
This hotel is attached to the large old pub. The hotel room is big & has a comfy bed and is quiet & warm. The pub has good old fashioned value for money meals & is cozy with an open fire. Nice local wine at decent prices. None of the pretension of Margaret River. A real find. Nice clean room and comfortable bed and although on the main road and attached to the Hotel it was quiet. Check in good with friendly staff. Ate in the pub, Good service and meal typical pub fare and prices. Very convenient to the tramway, just a short walk. Beautiful place to visit. A great variety of seating options to suit the weather. Big outside alfresco area, but plenty of inside seating as well. Relaxing scenery across the road. Lovely old building. Friendly staff. Nice open wood fire in the bar restaurant area and good variety of menu selections. We had the daily specials, which were reasonably priced, very tasty and satisfying. Not that there weren't plenty of other options on the menu. I love this place & always visit when in the area. Good place for a drink, meal and to relax. I was happy with our room, a double with own bathroom. Clean, large, internet available in room. Check in was quick, dinner available in choice of main restaurant, verandah area or bar area. Meal with added salad bar, good value. Check out in the morning took a little too long as I had to find the staff for a 6.30am out. Parking was available off road, however we were towing a trailer and we were not particularly keen to leave this in an open area. All was fine. "Wonderful food in a wonderful setting." On the main road with excellent parking facilities across the road this hotel, run by the Mazzarolo is a treat. The premises are clean and tidy and offer a free salad bar with your meal. We sat outside, and had two serves of fish and chips, a chicken schnitzel, a seafood combo and I couldn't decide whether to have the blackboard special roast beef or the "Juicy Lucy". "How hungry are you?" asked the lady. The roast was big so I opted for the "Juicy Lucy. "- "2 patties stuffed with cheese, bacon and salad" at $15 was great value. We all loved it. 5 out of 5. Comfortable and clean rooms. Good facilities. Parking very limited and if hotel was fully booked, it's possible you'd have to park on the street. Staff member on sign in efficient but abrupt. On sign out different staff member was very pleasant. Motel associated with a hotel and dining facilities a little confusing. WiFi can be difficult to connect to. Outside of hotel looked enticing but external view of the actual motel units is quite weird. Good place to cool off. Very hot outside today and the place is empty!! Friendly staff. Clean pub. Restaurant and hotel is right next door. Very convenient. As long as the drinks are cold. Did i mention that the staff are lovely?? We arrived later in the evening. The lady at the receptionist welcomed us and checked us in quickly. As it was raining heavily and there was no more carpark lots within the hotel, we were unable to move our luggage from the car. Thankfully the rain stopped at a later time. The hotel walkway and the room can have brighter lights to enhance the overall experience. In addition, the flooring of the bathroom is exceptionally cold. Would be good if there is some sort of warmer in the bathroom. I think the hotel is alright for one night stay. "The decor is worth the visit!" Pemberton is a smallish country town but with a range of basic services. The Best Western is the apparently best hotel in town. Good bed? Well, reasonable. Good shower? Well, the cold tap was superfluous! Good Internet? Well, only if 1990 download speeds are acceptable. Quiet? Yes, once the logging trucks stop. Can you get a meal? Yes...basis pub food, fast service...average results. A big locally dominated wine list of cheap and sadly average wines. The highlight is the decor of this place: odd is not even close! When did you last see a steel kitchen sink mounted in a Carrera marble bathroom countertop? Or a carved wooden thing holding up the roof? I guess this is what happens when there is a lack of competition! Last week we came back to this hotel because the food is so good, you get good value for your money, this would be owe pick for lunch when ever we are in Pemberton. I had grilled fish, chips (gluten free as I am a coeliac) and heaps of vegies, my partner had porter house steak with mushroom gravy, chips and salad done how he asked for it (rare), perfect as usual, but, if you are a small eater, you must ask for a child's serve. We checked our the accommodation for a friend, very nice and clean, very quiet as it has rammed earth walls. Price: $140-00 p/night for 2 adults, but if you are a senior, it will be $120-00 p/night for 2 adults (that is $30-00 off), what good value. I think this is the best value in this town. Well done, Michelle & Garry Nannup WA. Thought will go to the pub in town as pubs always have good food.Sadly this time not the case.This was a fail for both my friend and I for pub grub.Sitting outside enjoying the location eagerly awaiting our Supreme Pizza and then a well heated, frozen Pizza was placed in front of us? ?It is with a sad heart that Im writing this negative review as Im not a person who often writes complaint reviews. I know from being in the hospitality industry for 20 odd years we all have bad days.But this was just too disappointing to not give a heads up to Management and others. Hoping that if we pass by again we get to try some of the good food others have said in their reviews. The customer service was nice and friendly we we're just let down by the frozen pizza?? "Great pub for food, ambience and a hootin tooting good time"
The room was old but in keeping with the hotel. The bed was bloody fantastic, one of the most comfy beds I have slept in in a long time. The shower was a let down, had to run around to get wet. Te bar and dining room was an excellent rendition of the old country pub and the hospitality was typical Aussie country hospitality. Pemberton. Is a great spot to visit and the pub is the hub. Well placed hotel right at top of town, busy but room is quiet and spacious, very comfortable bed and I had a good nights' sleep. I made use of the iron and board to press a few items. There's a nice balcony overlooking the adjacent road, but once doors slid shut room is surprisingly quiet. "The building reminded me that we were in a forest area." We arrived in Pemberton pretty late in the night and it seemed that this hotel and its restaurant were the most "live" in town. The lady who checked us in had been busy helping in the restaurant, but she still received us with a big smile. We stayed in the hotel for two nights and enjoyed two good dinners in the restaurant. I wonder whether it was because we booked the room with the senior rate, they gave us an accessible room, which was quite spacious. However, the two beds in the room were not fixed well. In fact the beds easily glided away when we just leaned on them by accident. We think it could be dangerous for people who need to climb from wheelchairs to the beds. Our room was on the ground level most close to the parking entrance. The lighting seemed not enough for the corridor from the room to the hotel reception and restaurant. Again this could be dangerous for people, especially those with mobility limitations. We attended a friends wedding in Pemberton and found our accommodation at Best Western on a very stormy weekend to be clean, warm & comfortable! Lovely view from our room overlooking the Forrest! We also managed to leave items behind and the staff were straight on the phone to us! The room was clean, it was walking distance to everything in town and the pub was downstairs with food and drink. Great for an overnight stop. It's a few minutes walk to the Tram and a few minutes to the newsagent and a cafe too. Both the reception and restaurant staff did not seem too happy about serving guests. We were travelling throughout WA and this was the only hotel which we felt that the service was lacking. We did not let this dampen our already wet experience in pemberton. There wasn't a proper pathway from the carpark to the reception. The room was decent sized but toilet was not spared from the harsh cold of winter and there was no way of switching off the ventilator which seemed to be bringing in the cold air and was noisy. Nevertheless, the room was conducive to sleep in after some adjustments. Had booked in at karri valley resort - as quickly as we booked in we had checked out. Had to argue for full refund due to substandard accomodation. Was SO pleased that best Western pemberton hotel had a room available (due to no reception at karri valley we could not search online) for a third cheaper and substantially better quality. Quaint rooms, free wifi and very friendly staff. "Comfy stay in spacious room"
Well appointed room with comfy King bed and spotlessly clean. What better way to cosy up in the winter months with a glass of red warmed by the log fire in bar area. Excellent food, friendly staff and free wifi! Highly recommend for that winter getaway; peaceful, tranquil and surrounded by Karri Forest. Stayed in King deluxe room with kitchenette and private balcony. "Exactly as expected- and that's a good thing." I didn't expect this place to blow my mind- and it didn't. But by no means is that a bad thing. We got exactly what we wanted, a nice quiet place to stay the night that was warm & comfortable. The food at the pub is pretty good too. Overall a fairly enjoyable place to be. I have stayed at this place a few times now. The rooms are well appointed and quiet. The breakast is fantastic with a wide selection to choose from. The bar has a good atmosphere with a decent selection of beers and quality wines. The evening meals are substantial and great quality. Thank you for completing our survey we appreciate your loyalty to our brand and look forward to seeing you again. "Great place for food & drinks"
Nice place on a cold & wet winters night. Great wood fire by the bar. Food menu is classic pub food with a salad bar. Food is well cooked & full of flavour. Salads are fresh & tasty. Can't complain. Definately a favourite with the locals & visitors. Love this hotel. If staying, the rooms are large, comfortable and clean. This "Best" Western badly needs updating, especially for the prices charged for the rooms. We had two rooms - in one the taps in the bathroom leaked and flooded the floor in the night - guest had to move rooms. The bathrooms are really oddly re-designed....the toilet roll is in a place where you have to be double-jointed to reach it! And a stainless steel kitchen sink and mixer tap - not really a bathroom fixture. Rooms are pretty noisy, facing the main road. However, the food and service was very good....pub grub and staff friendly and very hard working. The internet service very, very patchy and slow. We were on the ground floor - pity those on the upper, as the stairs were steep for pulling up and down your luggage! The whole of the motel end badly needs renovating. On behalf of our entire team, we would like to opologize for not exceeding your expectations. Your satisfaction is important to us and we will be using the feedback you gave us to implement improvements to ensure we offer a better experience for guests in the future. We have had dinner at the hotel many times over a number of years and always enjoyed the meals however this time (twice) we were very disappointed in the quality and tasteless food. They are always good size servings but this time lacked flavour and the roast potatoes were rock hard. The internet is only available if you are a hotel guest. Service is quick even when they are very busy. This hotel is a big part of timber town Pemberton, history. The bar and restaurant areas are original wirh gorgeous woodwork and open fires. Restaurant and reception staff are always friendly and welcoming. If you're really hungry,the meals will satisfy even the biggest appetite. A great place to use as a base for exploring the karri forests,wineries,restaurants. "Good Rooms, Good Food, Good Value"
A comfortable country hotel serving wholesome cooking with friendly service. Modern motel style rooms and quaint period main building in a quiet setting on end of main street. Accommodated and fed a group of 48 without a hitch - Recommend. "Quirky BW - mid range." Stayed one night as stop off on way to Margaret River. Functional clean mid range hotel/motel that does food - we didn't eat but by all accounts usually good. Rooms contain all you need but bathrooms more like wet-rooms with showers leaking water around cubicle into rest of bathroom so be ready with extra towels! Strong smell of disinfectant in rooms we had. Unfortunately, One was so to overpowering even after airing that had to request move but hotel manager very obliging and apologetic. Hotel rooms are very ordinary and old feeling but clean. Air-conditioning/heating is very noisy and bathroom leaves a lot to be desired. The service and food is excellent and the staff are attentive. Pemberton is a great place to stay a few nights but finding good accommodation may be difficult. Parking is very limited in this hotel but a local car park is opposite. Thank you for taking the time to complete our survey we value all feedback and by telling us what you like about your stay and how we can improve is helping us to deliver a better service for future guests. "A good place to eat"
Thank You for taking the time to complete our survey .And look forward to seeing you again. The building came as a bit of a surprise. The older building that fronts the main street is a typical Australian pub built about a century ago. Tacked on a late 20th century extension with about 20 bedrooms. The extension is on two levels with a shared exterior walkway connecting the upper rooms. The bedrooms are decorated in a very odd style with concrete walls and lots of rustic timber. Lighting is very poor. Not my style, personally I hated it. Shower design is very poor and the bathroom floor flooded badly. We decided to eat in the bar that evening and after a few pints we tucked into the best fillet I have ever had. The reception and Bar staff were friendly and efficient. I would go back there again to eat but not sleep. We often visit the Pemby Hotel when we are down south. We've always had great meals there. Yes, service is a little slow during peak times (Friday/Saturday/Sunday nights) but hey, it's a country town. Recently we enjoyed a lovely pub lunch in the sun and loved our burgers. The chicken burger was fresh as was the beef burger. Chips crunchy and not oily or old. Even the spring rolls were tasty. Quick service (it was mid afternoon) and the bar man was friendly. Recommended for a family visit. Thank You for taking the time to complete our survey we value your feedback and hopefully will see you again on your next visit to Pemberton. We come to Pemberton often and with not that many dining options available in town, especially at night we find ourselves at the Hotel more often that not. The food is average but good value for money. I hate how they cover your whole plate with gravy!! During busy periods you can wait over an hour for your meals to arrive and service is rarely given with a smile. My partner ordered the soup one night only to watch one of the waitstaff bring through the dining area a can of soup straight into the kitchen - $9 was a very expensive can of soup. This place has so much potential but is tired and the whole place needs a bit of a makeover and some new blood in the kitchen and in the service areas. When ordering your meal you get the impression that...one power ball and their out of there. Steak sandwiches and burgers are great value - good option especially for kids. This hotel is conveniently located in the town center. The rooms are reasonable and service was generally good. The continental breakfast was reasonably priced. We had dinner at the restaurant, which was surprisingly crowded. This did delay our order by an hour and the Salmon I ordered ran out somewhere in between and I had to settle for an alternate option. The quality and price for our meal was good. If you are looking for a short stay over and at a reasonable price, this is a good place to stay. We were pleasantly surprised by the look of our room. Some effort had been made to modernise it and it seemed to work. The bed was comfortable and the room contained a small table and two chairs which was very handy as we chose to eat our dessert in our room. The bathroom was adequate however the shower frame leaked badly onto the floor next to the toilet. There was a huge dispenser in the shower containing a combined shampoo and body wash mix. The restaurant was very busy on the night we were there (a Sunday night). We ended up having burgers, as pizzas were going to take an hour to be served. We requested a ground floor room to avoid having to carry cases up a flight of stairs. The staff were friendly and helpful during our stay. We did not have access to the Internet as the hotel was experiencing some difficulties during our stay. "Average but at least clean"
On arriving was put off by the receptionist who was pretty damn surly. Maybe a bad day. Got past that and a decent room in front, on the highway. There are so few passing vehicles that that was not a problem. Nice n quiet. The switch for the rooms only work if you plug in the key fob into a socket. The bathroom light is hidden under the sink (kinda weird) and the shower door does not stop shower water from covering the bathroom floor. No seal. Tv works and the bed was comfortable. Amen. "Cute looking hotel, motel is circa 1970s"
The hotel is a really lovely looking building but the motel is very 1970s. It is well maintained and comfortable. Free wifi available, the room was comfortable if somewhat dark and dated although there had been a fairly good job done of keeping it in good condition and reasonably renovated. Stayed here for the night with my partner to break up our Margaret River trip. We had a top floor room with balcony overlooking the main road. Room was clean and tidy, bed was comfortable. Bathroom was clean, only fault is whilst having a shower the door doesn't stop the water from staying in the shower recess area, it ran under the door and to where the toilet is also toilet roll holder in an awkward position. We ate at the restaurant downstairs, food was lovely. Thank you for completing the survey regarding your recent stay with us we value all feedback from our guests and hope to see you again. "Only had dinner, average pub food!" There are not a lot of options to have dinner in Pemberton, and the hotel is where you can get a substantial pub style meal. The roast of the day was lamb and vegetable, however it was all but all covered in gravy. The two who had the pan fried fish found it was battered...soggy batter! The prawn pasta was fine. So all in all a bit hit and miss, but service was good, and the bar service very good. Okay for a pub food experience! Thank you for completing the survey regarding your recent stay with us we value all feedback from our guests and by letting us know what you liked and how we can improve you are helping us to deliver a superior experience for you and other guests. "Pleasant stay when on the road." Thank you for completing the survey regarding your recent stay with us we value all feedback from our guests and hope to see you again in the future. "Good value motel style accommodation"
These are motel style rooms located as a sort of annexe to the main bar. The room was a good size and had good character. The bathroom was a bit dated but overall was very nice. The free internet was very poor but manageable. I ate in the restaurant (there is probably nowhere else to eat in Pemberton) where the menu appeared to be very much ‘bar' food. Everything in my meal was so deeply fried to the point where I had to slice through several inches fat of to arrive at the food. Overall, I liked this place and the price I paid was fair value for what I got. We enjoyed our overnight stay at the Best Western Pemberton. The hotel is well located and the rooms were clean and comfortable. We ate at the pub and had a great meal. Great quality hotel/motel located in a beautiful town. "Well located, good value motel"
I sometimes wonder what people expect for their money. This is a motel, not The Ritz, and the rooms are sound with a comfortable bed and the amenities that you would expect from such an establishment. Some have commented negatively on the stainless steel sink in the bathroom, well from my perspective it is an excellent compromise between bathroom and kitchen which both allows washing of self and pots! We stayed on a Friday which is the night that the fruit pickers come into town to eat and drink, consequently the bar was heaving. Still we were cheerfully served with a good sized, hot bar meal that was fairly priced. All in all a good stay. Stopped in for dinner on the eve of a camping trip and have to say the Pemberton Pub is a total gem. The customer service, quality of food and atmosphere is everything you expect from a proper country town pub. The food served was superb and had the boys chowing down hard on the superb pizzas (and they are fussy little buggers when it comes to food). The customer service was super friendly and quick. Very reasonably priced, quality, large meals........perfect all round. Keep up the great work, we will definitely be back when in town again. Thank you for taking the time to complete our survey we value all feedback and hope to see you again on your next visit to Pemberton. We went for dinner and were pleasantly surprised by the service. Food was as to be expected from a country pub, big serves of decently cooked pub grub. However our waitress, Michelle was fantastic for her pleasant and friendly manner and great conversation.... As well as being efficient at her job we got to have a lovely conversation with her throughput our dinner which finished off a great day. Typical old pub. The food was large serves, but it took long time and was very greasy. Must admit the prices were quite reasonable given there were not really any other options for dinner. Is very busy so they must be doing something right. Thank you for completing our survey . Your satisfaction is important to us and we will be using your feedback to implement improvements to ensure we offer a better experience for guests in the future. "Good clean rooms, great food "
Love the way the accommodation has kept with the heritage of the area by using lots of wood in the building, rooms were clean and well appointed. Food in the restaurant is fantastic, a beautiful smoked trout was a standout, friendly service and a nice hum of activity just all round great place to use as a base while exploring the area, as we did. Thank you for taking the time time to complete our survey re your stay we would love to see you again should you be visiting Pemberton. "A solid option at the price"
This hotel is centrally located, has a decent but not spectacular restaurant on site, and offers rooms which have all the main based covered. The bathrooms aren't great, but they are decent enough for a night or two given the reasonable prices which are charged to stay. Thank you for completing our survey we welcome all feedback by telling us what you liked about your stay and how we can improve you are helping us to deliver a superior experience for you and other guest. "Friendly staff, good value stopover"
Like the previous reviewer we stopped in Pemberton while travelling from Albany to Margaret River and agree with them about value for money. True, it's not a four star property but you're not paying four star prices. The place is indeed a bit dated and would benefit from a fresh coat of paint but the rooms are large and clean with comfortable beds. The food in the restaurant which is linked to the pub next door is good-ish pub standard at reasonable prices. The bathroom was a bit of a letdown, but there's hot water in the shower and everything sort of works. Without exception all the staff we came in contact with were friendly and helpful. We stayed here only because we wanted to break up the journey between Margaret River and Albany. From internet photos, we had imagined it to be old. However, the whole experience turned out much better than expected. Reception was efficient and our family suite was on the same floor as the carpark, so it was very convenient to unload and load luggages. There were flies inside the room and they probably had followed us in, but insecticide was thoughtfully provided. The walls were made of brick and that probably kept out noises from other units as we had a very good, quiet night and rested well for the long journey on the following day. Only 1 soap dispenser was provided in the shower, so you might want to bring your own toiletries. For the price we paid, it was indeed value for money. On arrival I was ready to depart. The car park we arrived at was ridiculously tight and awkward, and the building surrounded it like prison walls. But wait.... I ignored the horrible rear exterior and found the checkin process smoother than ever. The room was pleasantly large with high ceilings, and a mix of mud brick walls, timber, modern paint and a lovely clean bed. If I wanted to pick a few negs Id go with the small TV on a stand (not wall mounted), the leaking toilet cistern, the hard to find bathroom light switch, and the single beds pushed together to make a double. But hey, I won't focus on those because the room is clean, bright, spacious, private, well equipped, comfortable and excellent value for money. The hotel itself has a huge array of rooms and memorabilia to explore which is awesome. I really like this place, and can safely suggest it's worth staying here. The property was very conveniently located right at the edge of the small town centre. The triple room was rather spartan but clean. There was even a little unfenced balcony outside our first level room. However, the wifi was extremely slow. None of the webpages that we were trying to access on the laptop could be loaded. The wifi was only sufficient to send short text messages. One of the cupboard doors in our room could not be opened as it was under repair. "Bedroom like student accommodation in the 1960s"
Thank You for completing our survey we value all feedback and hope to see you again should you visit Pemberton again. Have just returned from a 3 night break at beautiful Pemberton in WA's South West. We chose the Pemberton hotel to stay having had a few drinks there several years ago. The accomodation is beginning to get a little tired but was still quite presentable, of a decent size and very clean. Sleep quality was excellent. The food at the restaurant and lounge bar is of good quality and reasonably priced. The roast lamb was delicious. The wine menu features wines from local sources as well as other parts of Australia and is also well priced. Parking and WiFi are also provided free of charge. My main gripe would have to be the ensuite which I think must have been designed by someone totally unaware of practical needs. It was impossible to have a shower without flooding half of the room, the shower drain being situated about one centimetre from the unsealed shower door. The toilet roll holder was situated a long way behind where it would normally be placed which for an older person made it impossible to operate successfully. 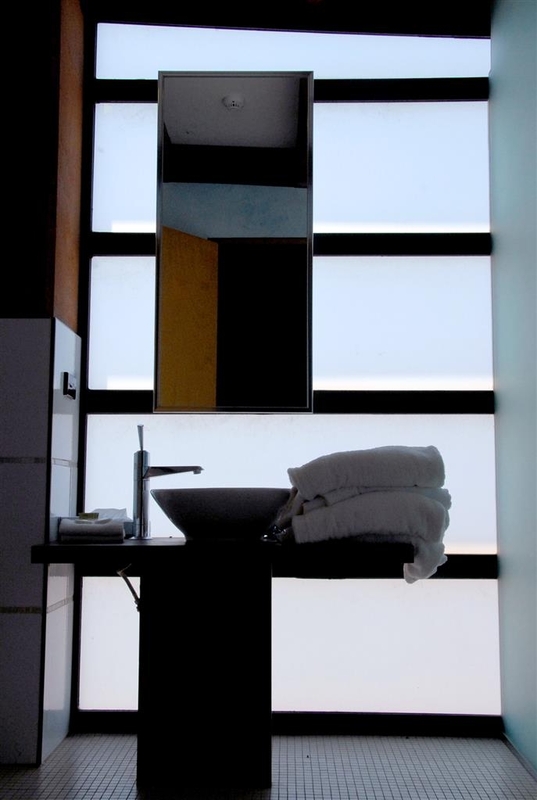 The sink was of metal rectangular design and reminded me of a small laundry trough. Finally shampoo was not provided but we did have a couple of dispensers similar to those in hotel/public toilets which dispensed that white foamy substance. The one in the shower was labelled "combined shampoo and body lotion" but appeared to be the same stuff that was at the sink. Thank You for taking the time to complete our survey regarding your recent stay at our property. Your business is very important to us and we value your feedback and by telling us what you liked about your stay and how we can improve you are helping us deliver a superior experience for you and other guests in the future.We hope you will come back and see us again. Thank you for taking the time to complete our survey we welcome your feedback and look forward to seeing you again on your next visit to Pemberton. The service was very good, rooms well appointed, staff pleasant and helpful. However the evening meal menu was the same for the four nights we were there. The puddings were in the cool cabinet, from when we arrived, and some was still there when we left, all were part used. Some of the salads were "sad" & were not of the freshest. Thank you for taking the time to complete our survey we value our guests feedback.Re the menu we do have nightly specials to complement our everyday menu.We hope you will come back and see us again. This the best place to stay in Pembi. I have stayed in other motels but this has to be the best. The staff are friendly and go out of there way to make your stay a great experience. The food is fantastic and are large portions. Will definitely be coming back. Keep up the good work. Thank You for taking the time to complete our survey we value your business and look forward to your next visit. "A Good, old fasioned country pub"
When visiting Pemberton a visit or two to the Pemby Pub should be on the list. It is a good, old style W.A. pub with lots of beer on tap and reasonable meals. It is a good place for a chat. We had telephone coverage so it gave us a chance to send "wish you were here" email and messages to our friends. Thank you for completing the survey regarding your recent stay at our property your business is very important to us and we value your feedback and to see you again . "Good for an overnight stop." Best Western Pemberton Hotel was a convenient overnight stop. The room was clean and comfortable. The WiFi did not work in the room, and apparently had been out of action for some time, but we were able to access it in the dining room. Reception staff pleasant and helpful. Thank You for taking the time to complete the survey regarding your stay with us. We are in the process of upgrading our wifi connection and look forward to seeing you again should you be visiting Pemberton again. "This will do to rest your weary bones"
We stayed here overnight after a long day of fishing and found it met our needs. The room was basic but clean and comfortable. The combined body wash and shampoo dispenser in the shower is weird so take your own gear. The towel rack in the bathroom is not immediately obvious - it is above the toilet. For breakfast the doors to the restaurant open on the dot. The food is reasonable and there is plenty of it. Thank You for taking the time to complete the survey by completing this you are helping us to deliver a superior experience for you and other guests in the future. Stayed at the hotel for nights to attend a friends 50th birthday. The hotel was full and very busy, as it was a public holiday weekend. The rooms are good size and nice and clean, the bed itself is not very comfortable, The mattress is tired and needs replacement. TV is good lighting could be better. Bathroom clean ,but needs an update. The high speed wifi is hopeless,getting your emails took so long we gave up. This needs to be sorted soon as other people I spoke to had the same problem. "Our highlight stay so far .... Great Country Pub"
Stopped at Pemberton overnight on way to Albany due to kms and there is not much choice for accommodation or meals which meant we ate at the Hotel as well. Firstly the room: large quiet room with comfortable bed hot shower but the decor was very dated in parts. There was lots of mould in the shower and the toilet rear was falling apart not good enough for the price. The meals. Don't believe. The description. The chicken parmigiana was one of those processed reconstituted things tasteless and flat after treatment thru the roller & at $24 way over the top. The worst I have had in a long time. There was an attempt at a salad bar and no offer of any rolls. Their feedback form was completed and no I won't be back. "A great Pub and Motel"
Stayed 1 night . The staff helpful and pleasant. Rooms large , clean and airy. Very quiet .Great shower with big Fluffy towels. Bed comfy. Looked reasonably new. Found out later the Motel had been move from Perth and re-erected here. Like most Motels we encountered on this trip more lighting is needed . Have no idea why some reviewers say it is dated .One small thing the toilet roll is in a silly position. you need to be a contortionist to use it. Two minutes to fix.